This honey I’m get during consorting my family for shopping at museum tenggarong – kutai kertanegara, that time my family present shoping for their friend. Honey is one of drink containing a lot of nutritious that recommended. As per named, the ulin honey is from bee that sipping ulin wood. That make me interesting to buy this honey. 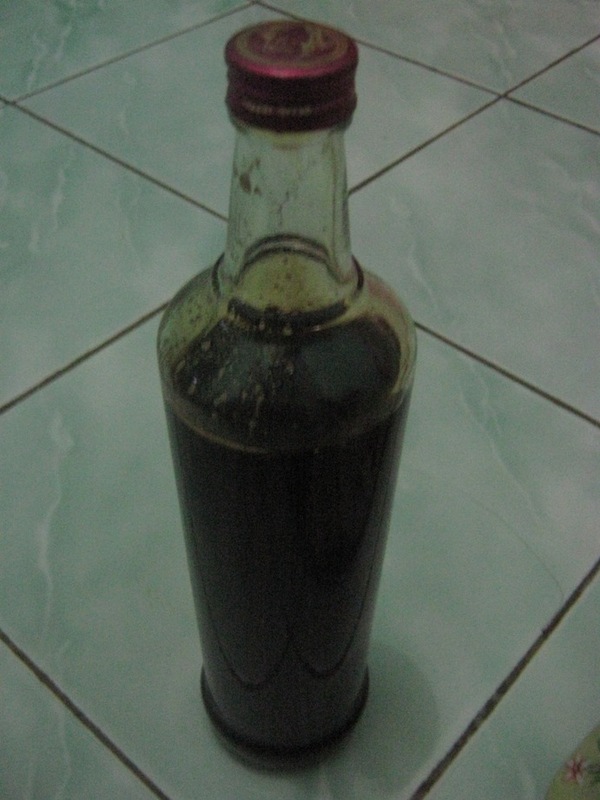 Ulin honey color is like grape extract (brown). The price is Rp.75000,- just different Rp.5000 with the other honey that usually sale Rp.70000,-. Normally if we at java 1 bottle honey is price Rp.30.000,-, but this is east Kalimantan so the price is different of course.